Surely, most of you are aquainted with culinary delights of honey - at least of common extracted honey. But the real honey specialities are comb in the comb or comb-honey: they are the best prophylactic against a cold. Eating honey during engagement was considered in former times to be useful in order to have strong and well shaped children later. Honey is known at least for 12.000 years. Especially in Egypt a honey culture was widespread. Honey was used for ritual and medical purposes. From Greece we know by Hippokrates about 300 diferent honey remedies. Honey contains up to 30 different kinds of sugar like fructose and dextrose and nearly 200 recorded substances. For instance organic acids, ferments, vitamins, aromatic substances und minerals like phosphor, iron, calcium, copper, manganese, magnesium, sodium, potassium, as well as many antibacterial pharmacologically active ingredients (Inhibines with antibiotic effect). The point in the German honey regulation: honey is a natural sweet substance which is produced by honeybees while collecting nectar from plants or secretions from living parts of plants or excretions on plants from insects succing on plants, converting it by combination with their own specific substances, by storing it, by dehydrate it (reduce water content) and by storing it in the combs of the beehive and let it ripen. Germany is worldchampion in honey consuming. The annual per-capita consumption is about 1,5 kg. But only a quarter of the german honey consumption is from own production. Pure German honey is being produced according DIB-standard. Pure German comb in the comb and run-honey is best produced according standards of ecological beekeeping (Centre for Ecological Apiculture); this comb- and run honey fulfill special requirements which exceed requirements from German honey regulation, German beekeepers association (DIB), organic rule and German organic associations. If honey is correctly stored it is durable for many years. You should take care about a dry, dark and cold storage (15-18°C). 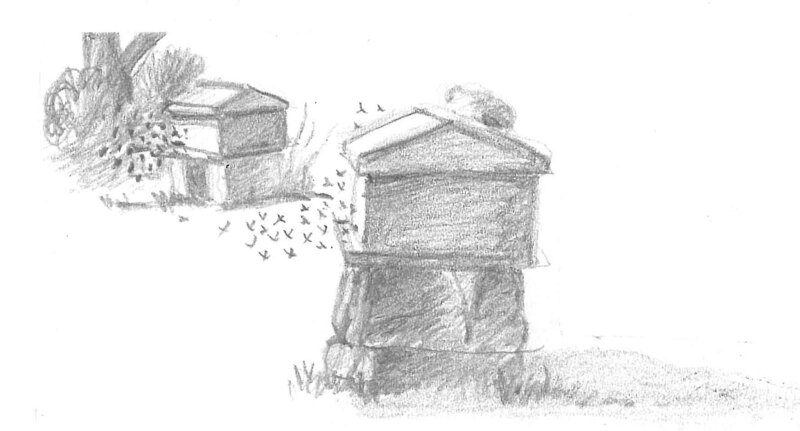 Honeyjars need always to be closured propperly as honey adopts very quickly humidity and disturbing odours. Crystallization has no influence on honeyquality; it is a natural process. Some kinds like clover honey crystallize immediately after honeyharvest. Others like fir honey, crystallize after years. It depends on different proportion of fructose and dextrose. Is the part of dextrose higher, the honey crystallizes faster and firmer. 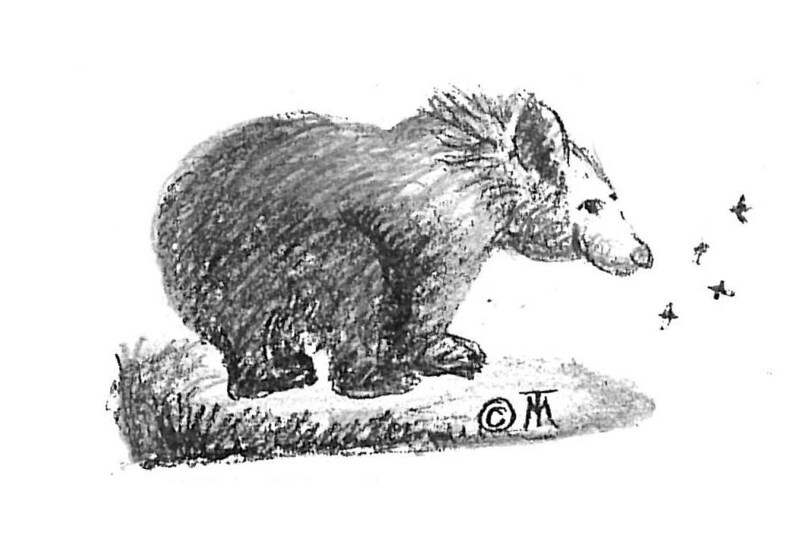 Honeyjar superscripts like „selection", „selected", „beekeeper’s honey" are only empty phrases. II But honey is not honey, even if the process of production (in the honeybee) is always the same. The final product, which is yielded from honeycombs by running, extraction, or pressing, differ in several quality characteristics. The colour spectrum goes from nearly achromatic (white) to very dark colours. The consistency can be liquid, completely cristallized or beginning to cristallize. Differences in Taste and flavour depend mainly on botanical origin. According to the basic material one differs flowerhoney and honeydew honey. Flowerhoney comes completely or mainly from nectar of blossoms. Honeydew honey comes from honeydew of several tree species; excretions on plants from insects succing on plants. The bees collect these sugar containing excretions and converting it by combination with their own specific substances to honey. Honeydew honey is always dark, contains lots of mineral nutrients and has a spicy flavour; it is rather a specialty. 2. Honey with parts of combs (chunk-honey) contains one or more pieces of comb-honey. 5. The „bestseller" among all honey kinds is extracted honey; he is being extracted from uncaped combs in a an extractor (centrifugal machine). This kind of honey is offered in most apiaries and can be found in supermarkets. This honey is not being used in natural Apitherapy. 6. Regarding presshoney the combs are being pressed or the honey is harvested by heating the combs up to 45°C. This method is rarely used nowadays. Also this honey is not being used in natural Apitherapy.